Easily among the most well-established nameplates in the world of automobiles, the Volkswagen Passat has already been through several updates and as many as 8 generation changes in the last 45 years of its existence. 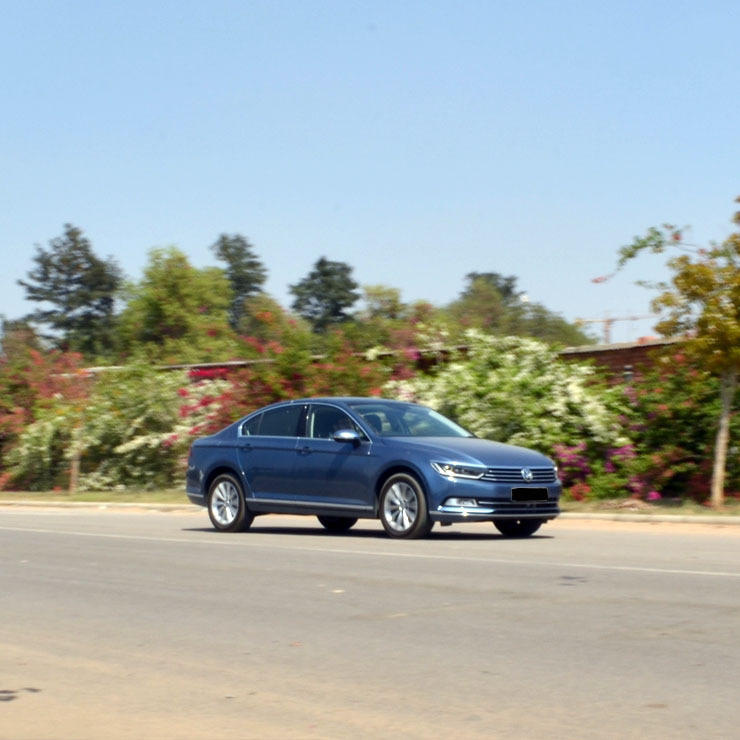 The latest, eighth-generation VW Passat came to India a few months ago. 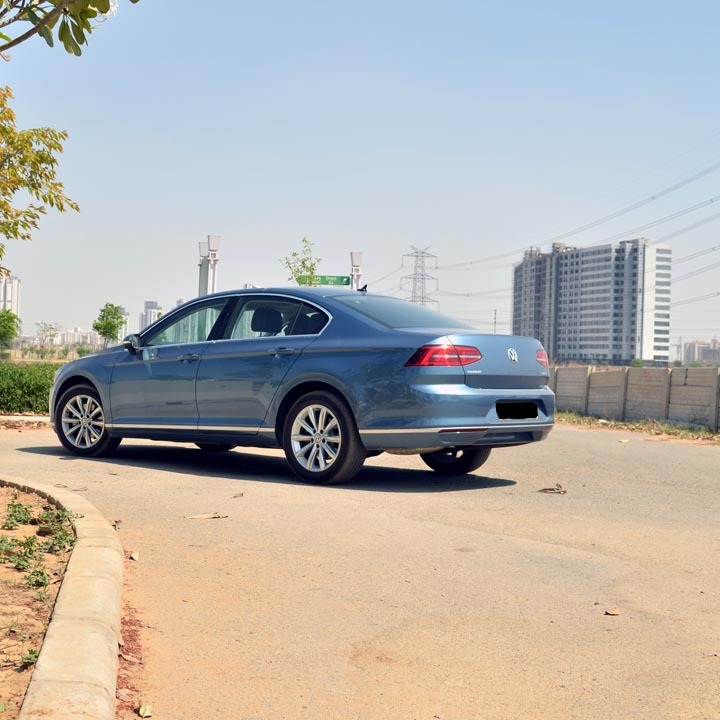 The new Passat becomes the second VW car in India, after the Tiguan, to be underpinned by the much-publicized MQB-platform. We’ll talk about all the aspects of the latest generation D-segmenter in our New Volkswagen Passat test drive review here. While there’s nothing too radical about the way the new Passat looks, you’ll still catch many road users stealing admiring glances in the Passat’s direction. This is simply because of the understated elegance that this sedan exhibits. The new Passat looks sufficiently modern whilst carrying the design DNA of modern-day VWs. The front-end of the car looks pretty stately, which is mainly due to the chrome-garnish on the front grille and sleek-looking headlamps with LED fixtures. Some diagonal surfaces get along really well with the wide grille and the stylish headlamps to give this car a distinctly Volkswagen nose. The side profile is all about clean lines and taut surfaces. The highlight here is the area between the beltline and the bold shoulder line, which is where the creases and the edges meet to form a very sportscar-like C-pillar. The multi-spoke alloy wheels give the car a classy look. The rear-end is characterized by the sleek taillamps that make the car look even wider. Another feature of the posterior is the crease beneath the taillamps, where the sheetmetal draws slightly inward. 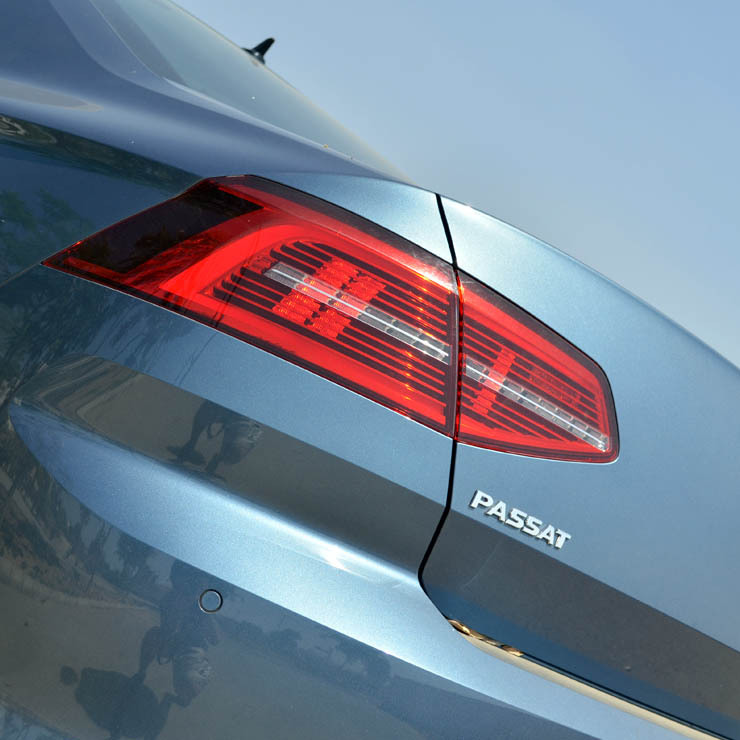 This interesting design feature gives a unique touch to the Passat’s posterior. The interior of the new Volkswagen Passat is all about high-quality plastics and a great fit-and-finish. The design of the dashboard is highly reminiscent of some of modern-day Audis while the dark color theme makes the cabin look a wee bit more luxurious. The dashboard also gets a wood trim to keep things classy. The piano-black trim around the touchscreen infotainment system further spruces up the area. 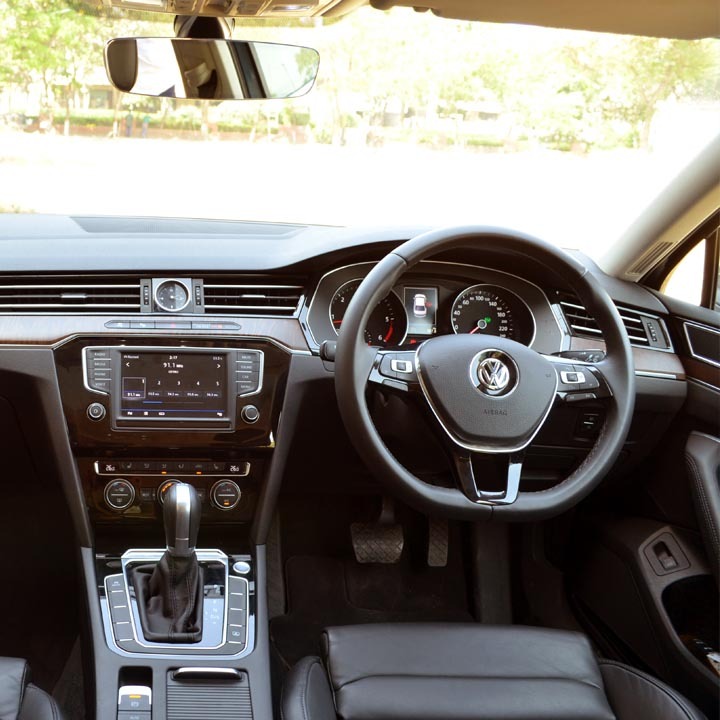 The Passat has been known to offer one of the best cabins in its segment and the latest version takes things a notch higher. The seats of the new Passat are very comfortable and offer electric adjustments. The driver’s seat also offers memory adjustments. Furthermore, there’s also a massage feature. Of course, the cabin feels very airy and has generous legroom both at the front and at the rear. That said, the Passat still can’t match the limo-like Superb in this aspect. The boot space, at 586-litres, can hold plenty of luggage. There’s also a 60:40 split-folding feature for the rear seat to boost this car’s luggage-carrying capacity to a great extent. The long list of features also includes – Heated Front Seats, Nine airbags, ABS, ESC, Automatic parking, Tyre pressure monitoring system, Three-zone climate control system, Apple CarPlay, Android Auto, Electric rear sunshade, and Electric sunroof. While the likes of Toyota Camry and Honda Accord have taken the hybrid route, Passat’s not-so-distant cousin, the Skoda Superb, is available with both petrol and diesel engine options. 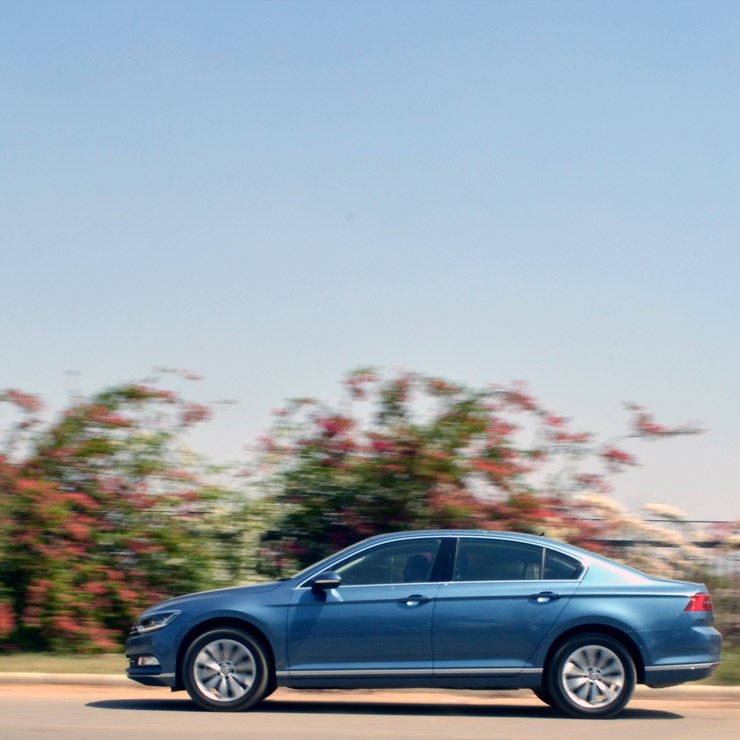 The Volkswagen Passat, however, is available only with a diesel engine for now. 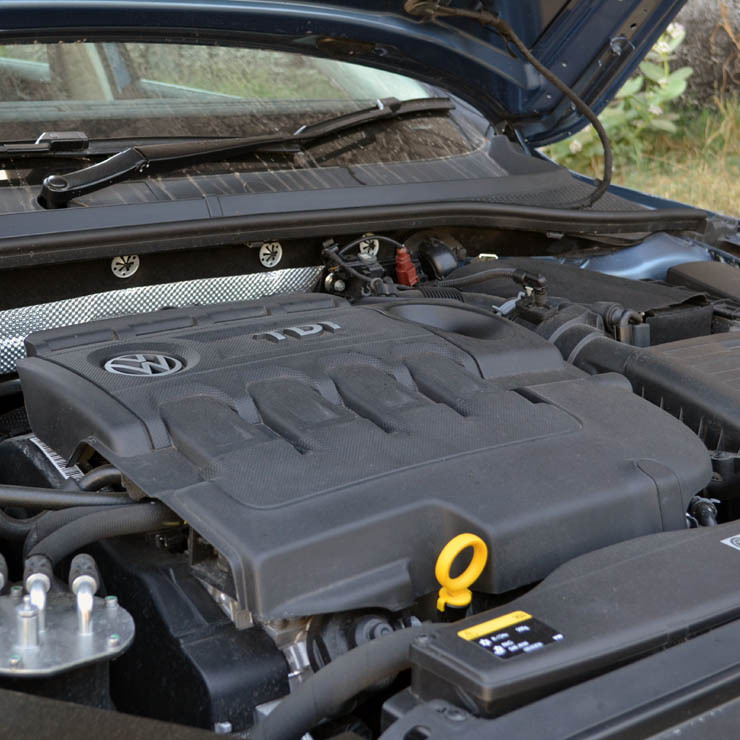 The 2.0-litre TDI turbo diesel motor of the Passat outputs a maximum power of 175 bhp along with a peak torque of 350 Nm. The motor comes mated to a six-speed DSG automatic transmission. The car has an ARAI-rated fuel efficiency of 17.42 kmpl. A highlight here is that the maximum torque is produced right from 1,500 RPM and continues to be on offer till 3,500 RPM. So, basically, what this means is that the performance stays pretty linear almost throughout the rev band. The six-speed DSG offers quick and well-timed shifts. 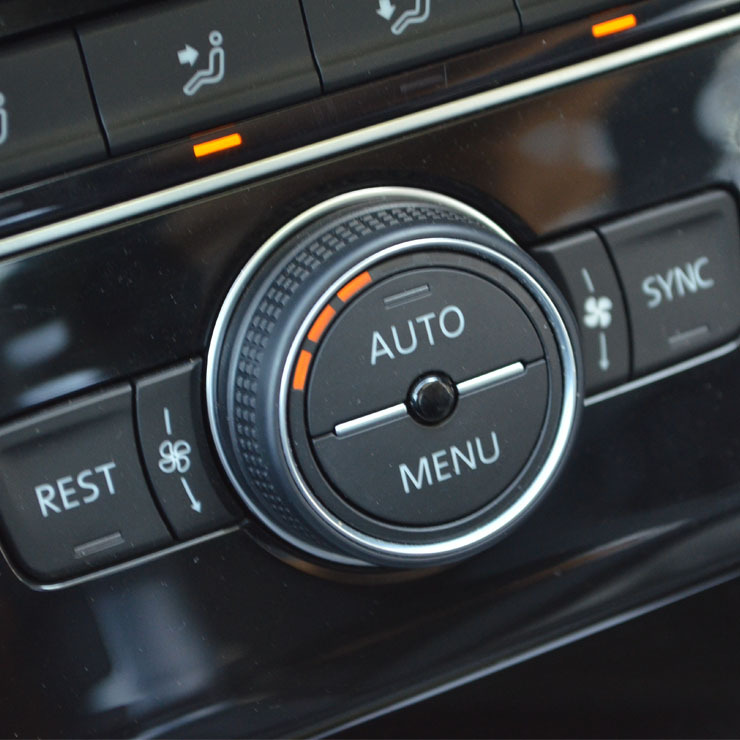 You can override the electronics and shift gears manually through the steering-mounted paddle shifters. The only chink in the armor is the slightly high NVH-levels. The diesel engine clatter, even at idle, is fairly audible inside the cabin and it gets a bit noisy at the higher revs. The ride quality goes on to play a very important role in making this car among the most comfortable options in its price bracket. It takes all sorts of undulations and irregularities in its stride with quite an ease. On the highways, the car stays planted at high speeds and offers the proverbial ‘waftability’ expensive German saloons are famous for. The steering is precise and doesn’t feel lifeless. However, all that weight feels a bit artificially induced. There’s a hint of body roll during high-speed lane changes. The brakes offer a strong bite and can easily slow down this car from high speeds without really breaking a sweat. While premium sedans haven’t been setting the sales charts on fire, there’s definitely a small section of car buyers that opts for large premium sedans priced just below the entry-level offerings from the luxury car marques. 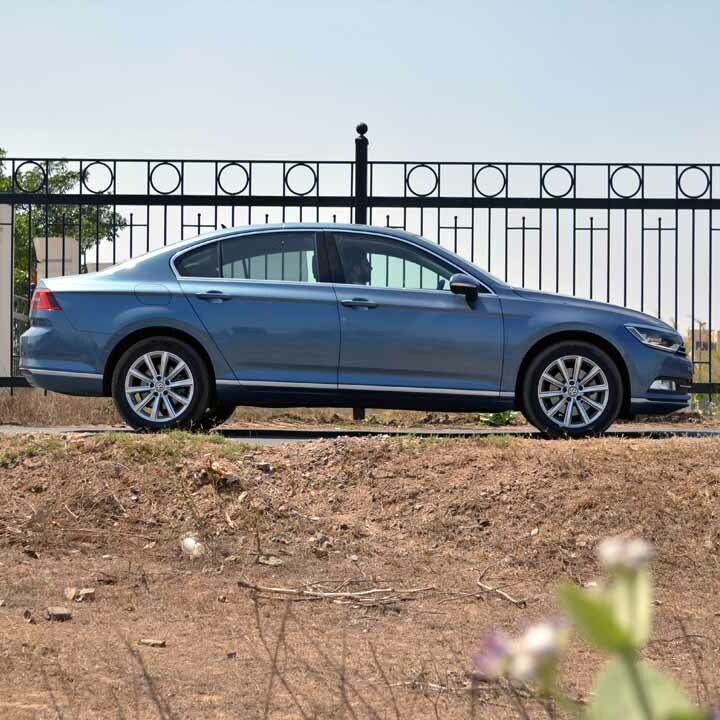 The new Passat caters to this segment and hence, has been in the crosshairs of models like the latest-generation Skoda Superb. Heck, it also competes with cars like the Mercedes-Benz CLA and the Audi A3 on the price front. The original Passat was based on the Audi 80 sedan and hence, shared in plenty with its more premium sibling. The new-generation Passat, on the other hand, is built on the same platform as the new Audi A6. This not only helps it get even closer to the entry-level luxury sedans but even get better in certain aspects. 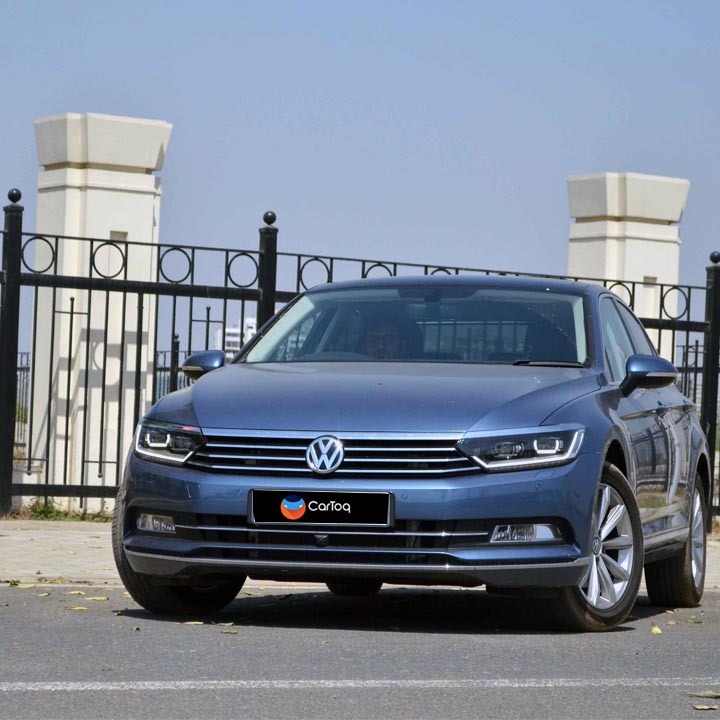 The new Volkswagen Passat comes across as a really good option for all those looking for a comfortable Diesel-sipping premium sedan that has an understated elegance about it. « Mahindra Scorpio: Things you do not know about the popular SUV!